As part of being an RW ambassador, I might occasionally write posts for their new interactive blog, and when I saw that they were looking for a post around nervous ponies, I know that had to be my topic! Since you guys are already familiar with my worry-wort horse, I don’t need to tell you that he can be an outright spaz at home, especially in the indoor arena. In the interest of full disclosure, this post does include some product recommendations- but I was not compensated in any way for authoring this article. So, onward good friends, and let us learn some tips and tricks for reining in those at-home butterflies! I’ve found that most horses (like humans), like a routine. Often this means riding him at similar times of day so he doesn’t worry. Once he’s in, if time allows I will throw my Back on Track Therapeutic sheet on him and give him a warm mash so he has a little something in his stomach before we work. I believe that the sheet helps warm up his back, while the food acts as a barrier against increased stomach acid, which could potentially lead to ulcers. After he’s finished, warm and happy, then we go into a grooming routine. Jack loves a good groom, and is especially a fan of the Soft & Gentle Grooming Brush, which massages his coat and loosens all the dirt (and lately, mud) that he is so fond of accumulating. Side bonus: A thorough grooming also allows me to check out every bit of him, and make sure he’s in tip-top shape before getting on. Once I’m aboard, our focus on relaxation continues. Many horses need a job to find relaxation, and Jack is no different. So even while walking, we don’t dawdle – we march around the ring and I encourage him to swing through his back and lengthen his neck. It’s tough to be tense when you’re long, low and forward! As we begin to trot, I can assess again how tense or nervous Jack is. If he continues to be on high alert, routine and repetition again become our best friends. On particularly nervous days, our trainer has us find patterns to repeat until he settles. This could be circles at A, B, C, and E all the way around the dressage court, or figure 8’s, or even “boring” walk/trot transitions until he gives a big sigh and releases his tension. Sometimes it takes 5 minutes, sometimes it takes 20 – but in the end it does make a difference! This may be the most important part of settling a nervous horse – and that’s your mental mindset! Often our own nervousness is communicated to the horse through our body language, so it’s important to constantly assess yourself to check that you aren’t ‘screaming’ “RUN!” to your horse accidentally. Position-wise, a following hand can help a horse relax, whereas many riders (myself included) tend to clutch the reins in anticipation of a spook. When I get strong, sensing a startle about to happen, my trainer constantly tells me, “Show him what to do instead of telling him what not to do.” This reframes the moment, so instead of worrying about the reaction, she encourages me to make things more positive by giving him tasks – lengthen his neck, bend around my leg, or some other exercise. It’s been a big lightbulb moment for us! Breathing exercises are also a helpful way to relax a stiff body. Sometimes I sing to myself if I’m feeling very nervous (under my breath when I’m around others). Frank Sinatra is my favorite for resetting my jangled nerves, and it’s impossible to hold your breath and sing at the same time! Another trick is to let out an audible sigh so the horse can hear you; this not only helps you release tension in your body but also indicates to the horse that you are relaxed! So much of our connection with horses is about trust, and helping my horse relax while doing his job only builds on our relationship. I hope these tips and ideas help you and your horse enjoy your rides more! I also sometimes sing when I ride! Usually it’s to help me with maintaining a rhythm. 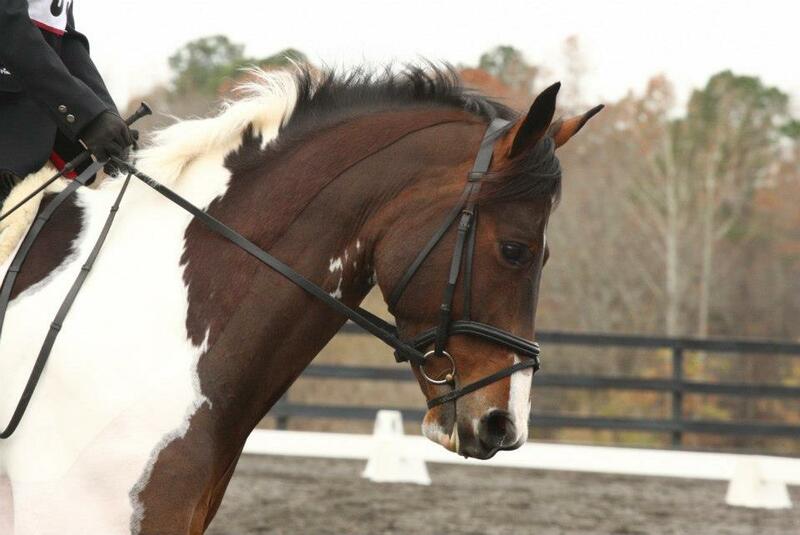 I’ve found that the chorus of “Uptown Funk” is great for Duke’s canter rhythm! Oh I love that!! With the pop songs I find I don’t know them as well so I can only parrot the chorus lol, which feels a little redundant… but still works! I struggle with relaxation more than my horse does, lol. Good tips to remember, thank you! This is great advice! 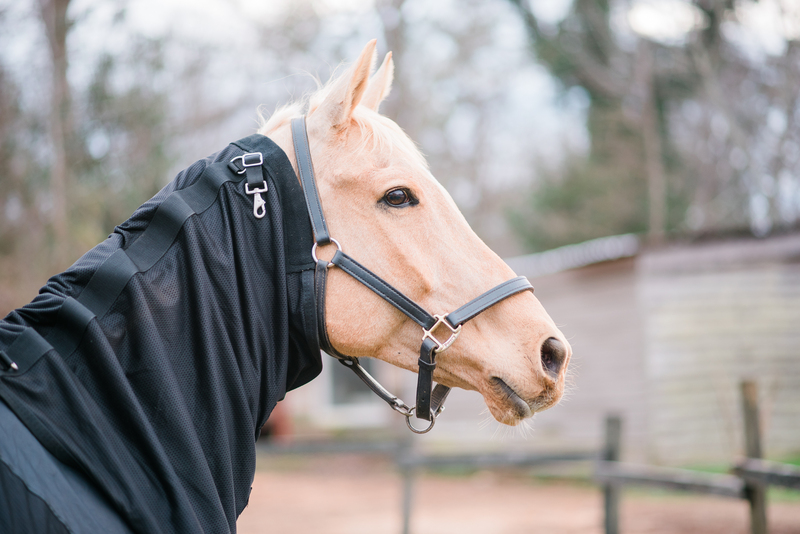 With winter here, a lot of horses don’t get quite as much turnout or ride time depending on the weather which often increases nervous and/or spooky behavior. My trainer has me sing “Row row row your boat!” She originally tried to encourage “O Canada” but none of us knew any of the lyrics beyond that point.